Michigan spends less money per capita on its roads and bridges than any other state in the nation. It spends $154 per person annually, according to the 2010 Census. Mike Nystrom is with the Michigan Infrastructure and Transportation Association. It advocates for the heavy construction industry. Nystrom said that failure to invest in roads and bridges hurts tourism and deters business investment. "We have one of the highest percentages of bridges ranked as structurally deficient or functionally obsolete of all of the Great Lakes states," he said. "Our pothole season is famous." Nystrom said that drivers end up paying the price for potholes and deteriorating bridges because of damage they cause to cars. 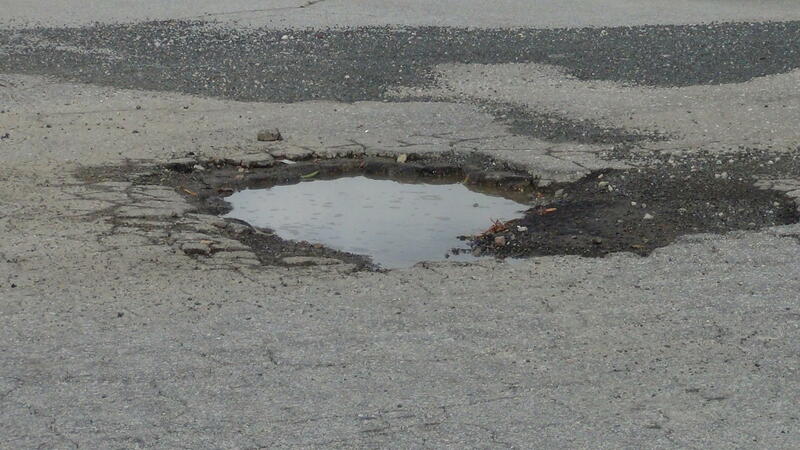 "Drivers across the state of Michigan are paying on average approximately $350 per driver, per year, because of the poor conditions of our roads," he said. Nystrom said Michigan needs to spend $2 billion each year to fix these problems. Gov. Snyder has asked the Legislature for about $1.2 billion.